Lavinia Iancu, recipient of the 2017-18 AAFS Outstanding Early Career Achievement in Forensic Science Award. 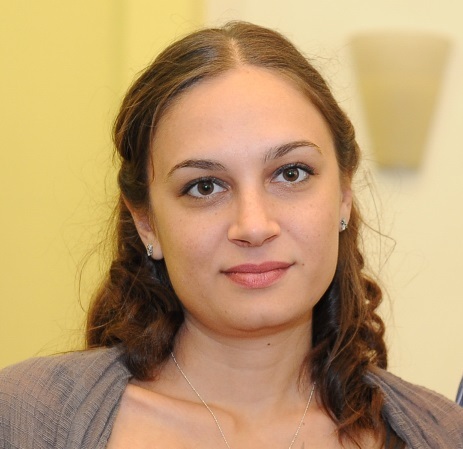 The AAFS Past Presidents Council is pleased to announce that the recipient of the Outstanding Early Career Achievement in Forensic Science Award is Lavinia Iancu, PhD, an Associate Member in the Pathology/Biology Section. The award will be presented by John Gerns, Chair of the Past Presidents Council, on Wednesday, February 21, 2018, during the AAFS Annual Business Meeting in Seattle. Dr. Iancu will receive $1,000 and a commemorative plaque. In addition, the Academy will pay the expenses of Dr. Iancu’s attendance at the annual meeting, including registration, coach airfare, lodging while in attendance at the annual meeting not to exceed five nights, and up to $75 per diem. The criteria for the Outstanding Early Career Achievement in Forensic Science Award are: (1) the recipient shall be an Associate Member, Member, or Fellow of the AAFS; (2) the recipient shall have been eligible for the status of Associate Member of the Academy no more than ten (10) years prior to their nomination; and, (3) the recipient shall have demonstrated both leadership and outstanding achievement through contributions that have served to advance forensic science and its application to the legal system in a manner that promotes professionalism, integrity, competency, education, research, practice, and collaboration.